When, back in 2013, I had the honour to interview Horst Wein that was the reply that particularly made an impression. Many coaches, when asked about the most important attribute of a player will turn to the usual; skill, ability, talent. Wein’s reply was different. For him, it was how they thought which was of particular interest and, I have to admit, that from that point on I started judging players based on that particular ability. There are innumerable talented players who fail to hit the heights that they should for the simple reason that during games they consistently make stupid decisions. Runs which will lead to nothing or else, staying static when movement is required. Inversely, there are players who can read the game better than most and these tend to be managers’ favourites even if fans do not always appreciate what makes them special. Little wonder then, that the man who could change my whole way of viewing the game is considered to be one of the greatest instructors of our time. Indeed, Wein has blessed coaches with innumerable conferences and texts. Yet, given the impact of that opening comment, the one that is of particular interest to me is Developing Game Intelligence in Soccer. This is essentially, the complete text as far as intelligence in football is concerned. 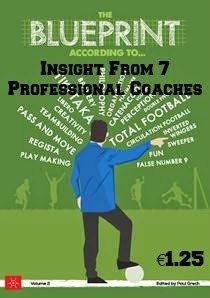 It starts with a thesis defending the importance of game intelligence before delivering another important aspect of his philosophy: no player is born with game intelligence. This is extremely important because if intelligence isn’t a natural phenomenon then it is something that can be coached. Which is precisely what Wein tries to show in this book where, through a series of exercises he aims to let the player reach a conclusion for a particular desired course of action which, in turn, will increase his ability to instinctively read the game when he is playing. 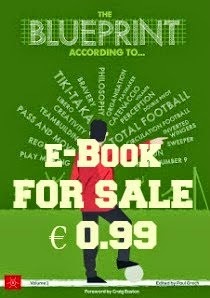 As with any book, this is only a starting point for any coach (not least because Wein has written a number of books that deal with similar themes and which are all brilliant reads) since ultimately it is has application and ingenuity in making necessary changes which will allow him to teach the basic principles to his players.